Mimic Go was a special style of Star Go. In general, it was totally imitating the other side’s style, putting one’s chess piece on the corresponding reverse place on the chessboard. In this case, no matter how strong one’s opponent was, the chess player could always draw with his opponent. Of course, it wasn’t perfect. Its fatal flaw was “tengen”. Tengen was unique, there was no reverse place for tengen on the chessboard, therefore, once one side put his chess piece onto tengen, the other side couldn’t imitate his moves any more. Unlike the game of Go, Star Go’s map was a changing star map, each star map was different. The possibility of the appearance of the Mimic Go was nearly zero, unless both sides of the game had the same understanding about the star map and the orbits of stars. The two Star Go players must be familiar with each other. “Something is wrong. What is happening?” Urd looked at the chessboard with vigilance. “I don’t know. Just now, we lost control of our rhythm.” Verdandi’s fingers trembled and almost put the chess piece onto the wrong place. “It’s strange. Why can’t we control our hands?” Skuld almost become frantic. For awhile now, no, from the beginning, their moves became strange. Isn’t it a matter of nature to put the first chess piece onto one of the corners? The second and third chess pieces also needed to occupy the advantage ground. This was the rule recognized by countless Star Go players. They wouldn’t be deceived by any tricks, they wouldn’t be affected by any opponent’s style. They would always put their chess pieces onto the most stable and safest places, because it was the best option. Just like the web weaved by fate, they gained advantages and defeated their opponents step by step. This strategy never failed. Apart from the game with Alpha, they lost because they ran out of time, they’ve never lost to anyone from the beginning of the game! Even Orfina couldn’t break their shield using her most fierce attack. However, it suddenly lost efficacy now. The style of “A Cloud in the Sky” was as simple as any newbie, he didn’t even know how to set any traps in his chess pieces. However, his moves brought the three goddesses into a mysterious world. They could observe him from past, present, and future. This ability had helped them achieved countless victories and became the only 6 star points chess player, but now, it suddenly became their weakness in front of Yun Xi. In the face of Yun Xi’s style, their resistance was weaker than anyone because of their cheat-like ability! 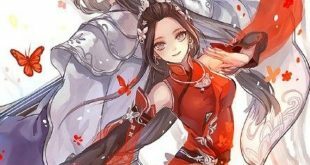 Looking at Yun Xi’s chess pieces, they felt as if they were looking at the most gorgeous, most shocking web of fate that was being weaved in front of their eyes. They couldn’t resist or change the web of fate, because every step of Yun Xi’s chess pieces stood for the most perfect, most fantastic mystery in the star map. It had nothing to do with computing power. It was a power that was beyond description. Yun Xi’s chess pieces weaved a web called fate, which was so tempting to the three goddesses that they had no chance to escape. They were not imitating Yun Xi’s style, but were attracted by Yun Xi’s chess pieces. They couldn’t help but involuntarily respond to the call of fate. The three goddesses of Fate could see past, present, and future at the same time, because they were using the power of fate. In the face of this stronger fate, they were as feeble as newborn infants. It wasn’t a Handicap Game neither a Teaching Game, they were connecting with each other from a realm in their souls. “He is strong… who is he?” Urd was the first who couldn’t withstand the strong pleasant sensation from her soul. She put her hands on her shoulders and shivered with joy. “We are… being attracted… what’s this feeling?” Verdandi blushed. Her neck was upturned and her breathing was becoming heavy and hot. “Whoa! Skuld is becoming a bad child.” Even Skuld couldn’t escape the shudder of the pleasant sensation. Her face turned red and her eyes became watery, her legs put together tightly. Above the head of their avatar, the one-eyed old man, a pink heart almost popped out. “Pa!” Yun Xi put down another chess piece. It was the first time he felt so joyful when playing. He could feel distinct auras from Norn the God of Wisdom every time he put down a chess piece. Sometimes, the aura was as hot as fire, dangerous and alluring. Sometimes, the aura was as soft as water and as fresh as a hanging garden. Sometimes, the aura was as vibrant as a rabbit in the wild in the spring. Oh, this 6 star points chess player is really special. Norn the God of Wisdom is just one person, but he showed three different styles when playing! In every sense, it was a unique experience to Yun Xi. Click Below to Check out the Ebook!